ANOTHER United States-based Nigerian professor, Nelson Mobolanle Oyesiku, has been elected President of the international body of neurosurgeons. Oyesiku took over the mantle of leadership of the over 5,300-member Congress of Neurological Surgeons (CNS) late last year after serving in the body's executive committee for several years in various capacities. Trained at the University of Ibadan where he received his medical degree, Oyesiku, a brother to the music maestro, Christopher Oyesiku, is a professor of neurosurgery at the Emory University, Atlanta, USA. In a statement from the university announcing his accomplishments, it was noted` that Oyesiku, who also holds a PhD and FACS, had a stellar academic career, being on top of his class while in Nigeria and abroad. According to the association, the Congress of Neurological Surgeons "exists for the purpose of promoting the public welfare through the advancement of neurosurgery, by a commitment to excellence in education, and by dedication to research and scientific knowledge." The association which was formed in 1951 initially by 121 surgeons in Memphis, State of Tennessee, United States, "maintains the vitality of our learned profession through the altruistic volunteer efforts of its members and the development of leadership in service to the public, to our colleagues in other disciplines, and to the special needs of our fellow neurosurgeons throughout the world and at every stage of their professional lives." Widely recognised internationally, Dr Oyesiku has won a variety of awards and honours, including a selection by his peers as one of the best doctors in America. He was also selected by the Consumer Research Council of America as one of America's top surgeons. He is a Fellow of the American College of Surgeons and named in the prestigious Marquis Who's Who in America. Born and raised in Nigeria, he graduated from the University of Ibadan, and served as a House Officer in Lagos. He completed his National Youth Service Corps before he left Nigeria for the United Kingdom where he attended the University of London as a Commonwealth Scholar and later obtained a Masters of Science degree. He served his internship in general surgery at the University of Connecticut, Hartford Hospital USA and then obtained his neurosurgical training at Emory University, Atlanta. It was during his residency in neurosurgery at Emory University, that he got his PhD. He was named to the neurosurgical faculty at Emory upon completion of his training and is currently professor of Neurological Surgery and Director of the Laboratory of Molecular Neurosurgery & Biotechnology. He scored in the 99th percentile on the primary examination of the American Board of Neurological Surgery, and a perfect score on the Oral Examination of the American Board of Neurological Surgery typifying what the university statement called "his academic superiority." 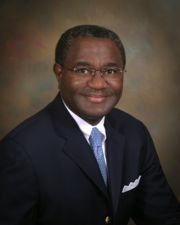 The statement added that his scholarly excellence is evidenced by "a record of consistent application of basic scientific research to his areas of clinical expertise...Dr. Oyesiku is an outstanding neurosurgeon, well recognised for his expertise in the surgical management of pituitary tumours." Oyesiku belongs to every major national and international neurosurgical society and has served on numerous committees and leadership roles at national and international levels. This includes the Congress of Neurological Surgeons, where he was the Vice-President. Oyesiku is on the Board of Directors, Federation for International Education in Neurosurgery and the Volunteers for International Education in Neurosurgery which provide neurosurgical education in over 20 developing countries. He is a CNS Delegate to the World Federation of Neurosurgical Societies, the world body of neurosurgical societies. He is also chairman of the NeuroEndocrine Committee of the World Federation of Neurosurgical Societies. Oyesiku was described as " the quintessential clinician-investigator." He received a four-year NIH KO8 Clinician Investigator Development Award from the U.S. government owned National Institute of Health for investigation into the molecular biology of pituitary adenomas. This was immediately followed by another four-year career development grant from the Robert Wood Johnson Foundation Medical Faculty Development Programme. His scholarship has resulted in 43 peer-reviewed articles in major journals, 19 book chapters, and four important review articles in the most important textbooks in neurosurgery. He is the author of a book, Patient Care in Neurosurgery, a training manual for residents in neurosurgery. Oyesiku is routinely invited as a guest lecturer to the most important national and international meetings and has served as visiting professor at prestigious departments of neurosurgery in the U.S. and outside it. He is married to another Nigerian professional, Lola, a registered nurse with speciality training in obstetrics. They have three children.